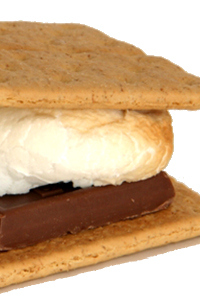 In honor of those Disney fans heading to Tent Fest in Walt Disney World this weekend, I got the great suggestion to chat a bit about Disney s’mores! 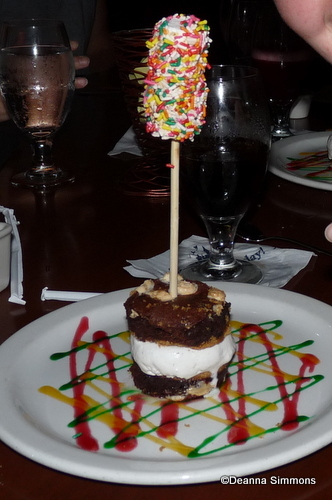 Le Cellier’s colorful s’mores-on-a-stick has been a go-to kids’ dessert for years, and it never fails to impress. “Built” with a graham cracker, chocolate, and ice cream base, the “wow” factor comes with a sprinkle-y marshmallow topping it all off. The 50’s Prime Time Cafe s’mores dessert is a more “gourmet” offering — mostly because they can use a blow torch to make it — but the fun of having those ooey gooey marshmallows arrive on your table will turn everyone into a kid again. This one’s big enough to share. 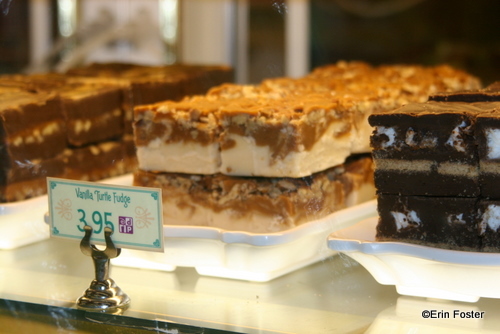 But, let’s not forget about the S’mores fudge that can be found throughout the parks! 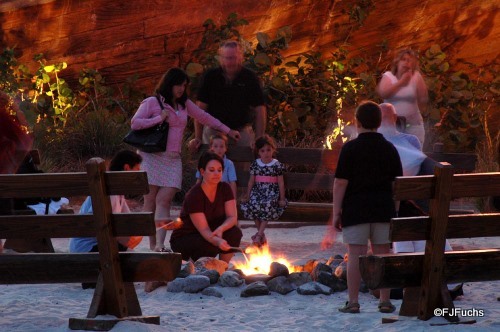 If you’re not ready to make the trek to Fort Wilderness and don’t mind missing the chipmunks, many Disney deluxe resorts offer campfires and s’mores on select nights of the week, including the the Beach and Yacht Clubs, the Contemporary Resort, and the Grand Floridian. 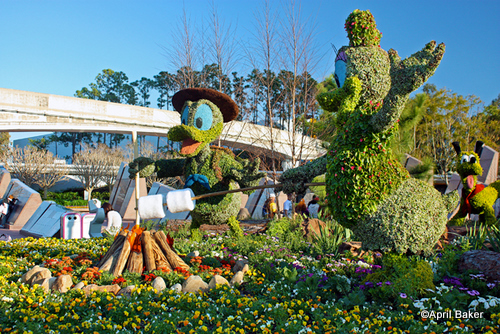 AND, if you’re in WDW for this year’s Flower and Garden Festival, be sure to check out this cool S’mores topiary! I love this! 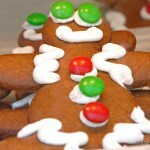 Now that you’re in a giant sugar coma, it’s time to crawl into your snuggly sleeping bags and turn in for the night. Sweet dreams, and have a great Tent Fest! 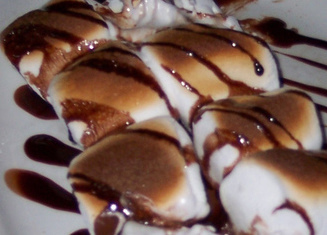 There are s’mores at Jiko too – they’re on the kids’ dessert menu, and they’re fantastic! That Smores cheesecake looks great. We love their Tie Dye Cheesecake – so much that I recreated it at home after our trip last year. Your photos of the Smores Cheesecake has got me thinking of merging the two – Tie Dye Smores Cheesecake? I’m thinking Chocolate cake base, topped with Tie Dye Cheesecake, marshmallows and graham cracker crumbs. I might just need to make this one!!! Anne — Ooh! Do you have pics? If not, what are they like? Erin — Wha?! S’mores cheesecake at Whispering Canyon! Just did a search… is this it? Looks fab! Yep, that’s pretty close to what we had at the WCC. – Use Golden Grahams instead of Krispies. 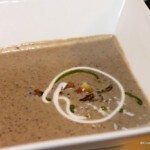 – When the “batter” is still warm, dump a few big handfuls of chocolate chips on top. – The chips will melt. Spread them around with a knife. – Cool, cut, and serve. 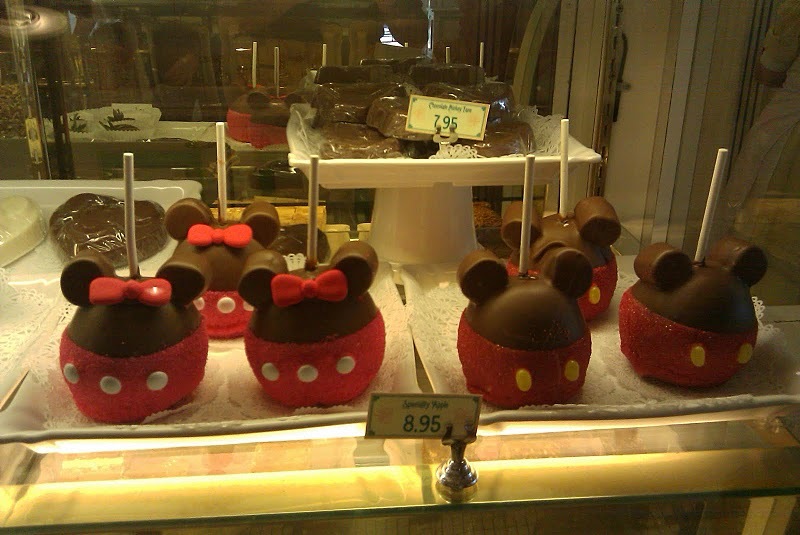 While its not quite a smore when we were in the Magic Kingdom a few months ago. I went in to take some pictures for a Disney Food Site I know of 😉 We stopped at the Main Street Confectionery Shop and was drooling on all the food there. One of the girls working in the back gave our little one a marshmallow with alll kinds of sprinkles for free. Love this! Now I want S’mores!! 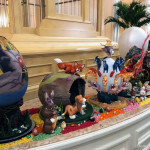 Did you see there is a s’mores display in topiary at the Flower & Garden festival? Perfect timing! Erin — I saw one of those little machines when I was doing research for the blog! I love that it looks like it has little hands 🙂 Thanks, also for that recipe; sounds wonderful. Chip — Great tip (especially about the little on pressing her nose against the glass — too funny!)!! Zanna — I didn’t see the topiary, yet; I’ll have to go hunt down an early picture! Thanks for the heads up! LOL, loved the line about the 50’s Prime Time Cafe’s s’mores being gourmet “mostly because they can use a blow torch to make it.” But it does look yummy! Cody — Can you believe I haven’t eaten one, yet? I gotta get on the ball with that one! Stephanie — Oh my goodness! That’s so cool! How’s the WCC cheesecake? Anyone know if the Campfire and Sing-a-long at Fort Wilderness is for Disney resort guests only? 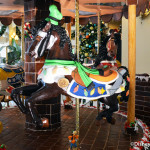 We are not staying at a disney property, but this event and smore kits sound fun! 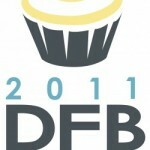 By the way, I just found this blog and am really enjoying it. Thanks! 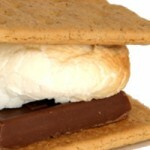 I wrote about s’mores this week, too! Chandra and AJ, they welcome everyone. It is very casual at the Fort Wilderness Campfire. They have stadium bleachers and two fires going. A little cart sells refreshments, like the kit (a stick, some marshmallows, graham crackers and chocolate).